The wordpress plugin All in One Webmaster lets you verify your website in the respective webmaster tools of the top search engines like Google and Bing (MSN) and lot more. 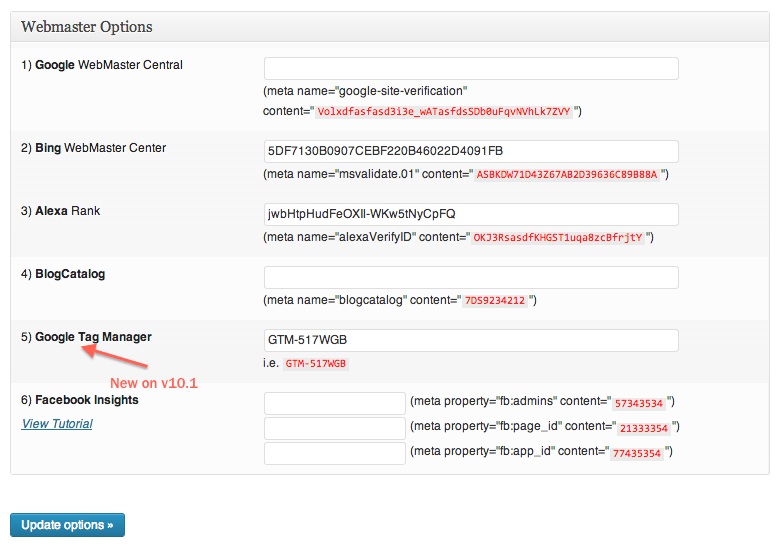 I usually receives lots of email for my premium plugin about how to add all required meta-tags in admin console? This tutorial shows you how to find Google WebMaster Meta Tag Value for All in One Webmaster Premium? Step2: Click on “Add Site Button” at right top corner. Step3: Add your site name. Step4: Get Value mentioned in below screenshot. Step5: Put that value in your All in One Webmaster’s Premium’s “Webmaster Options”. Step6: Save Changes & Clear your blog cache if you are using any Caching plugin. Step7: Go again to Webmaster Central and Click on Verify. Step8: And you should be all set.